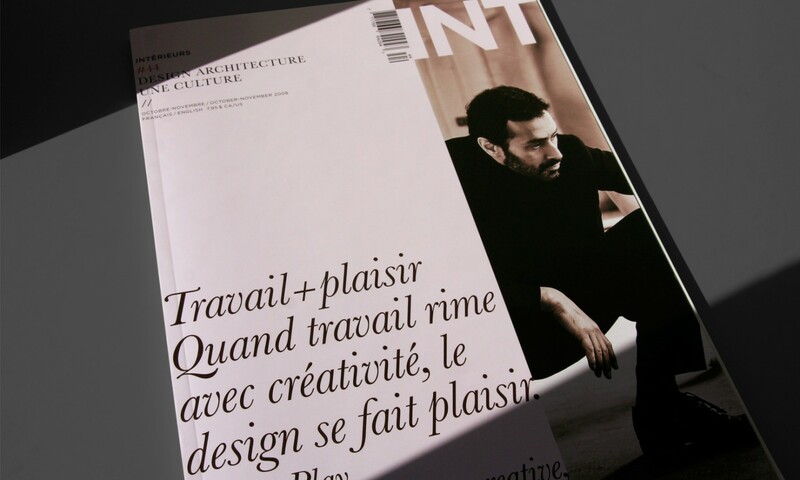 The Canadian magazine Intérieurs is a publication specialized in design and architecture. Paprika was commissioned to improve the magazine’s cover page design in order to highlight its artistic and creative direction and rework its graphic charter. Not only did we have to charm the current subscribers, but we also had to increase the number of potential readers among the art, design, and architecture lovers. For the cover page, we suggested a minimalistic design and the addition of an inside cover which, once open, unveils the reference image and visual identity of the magazine. This inside cover reflects on the idea of “interior”. The cover page isn’t limited to one typical page, but it efficiently invites the reader to venture further. As for the interior pages’ design, its diverse and dynamic display eases the reading and gives rhythm to the magazine.